Product prices and availability are accurate as of 2019-04-12 13:56:40 EDT and are subject to change. Any price and availability information displayed on http://www.amazon.com/ at the time of purchase will apply to the purchase of this product. 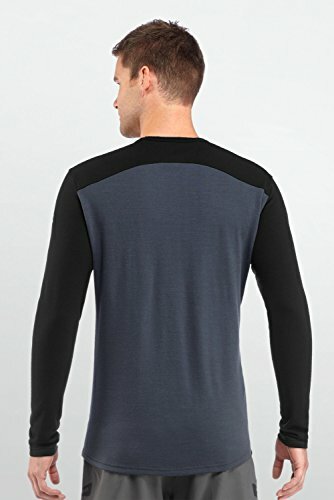 The Men's Tech Top Long Sleeve Crewe is our 100% merino mid-weight base layer top for the coldest days of the year. The Tech Top features our 260gm Body Fit fabric for bone-chilling temps on the ski hill and the trails or around town. Our exclusive Icebreake. VERSATILE COMFORT: Featuring 100% merino wool for breathability, next-to-skin softness and odor resistance, it's perfect for both daily life & travel. Offset shoulder seams & flatlock stitching prevent chafing when you're on the go or carrying a backpack. FIRST LAYERS: With anti-chafe seams and LYCRA for added fit, the shirts, shorts, leggings, and more of our merino first layer collection is designed to keep you warm. 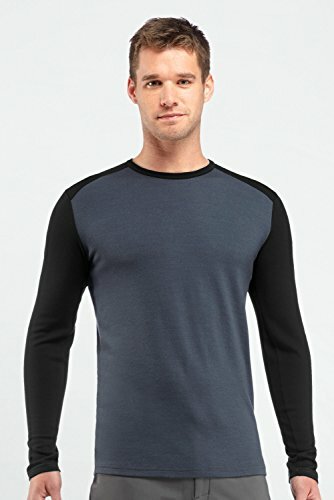 Cover your men's thermal first layer with a lightweight pair of shorts or hiking pants. TOP TO TOE LAYERING: Our clothes transcend single usage; we make multi-functional pieces that adapt to your life & style, on the mountain, in the city & at home. From wool socks, boxers & bikini briefs, to trench coats, windbreakers & fleece hoodies. SIMPLICITY & LONGEVITY: We want our clothing to be relevant for years. 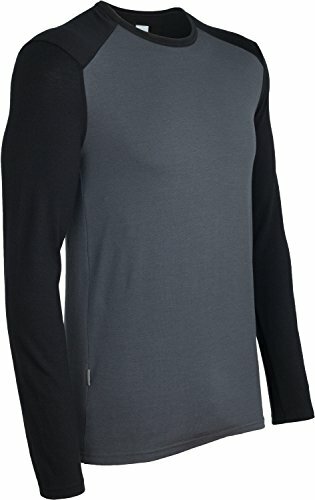 Through high quality performance, Icebreaker's merino wool base layers, first layers, mid layers, and outer layers will thrive in your wardrobe and your activities for many seasons. PREMIUM LAYERING: Try Icebreaker's merino wool under-base, base, mid, and top layers if you've used similar products from Woolrich, SmartWool, Marmot, Columbia, Carhartt, Hatley, The North Face, Helly Hansen, Levis, Ben Sherman, Browning, or Mack Weldon.